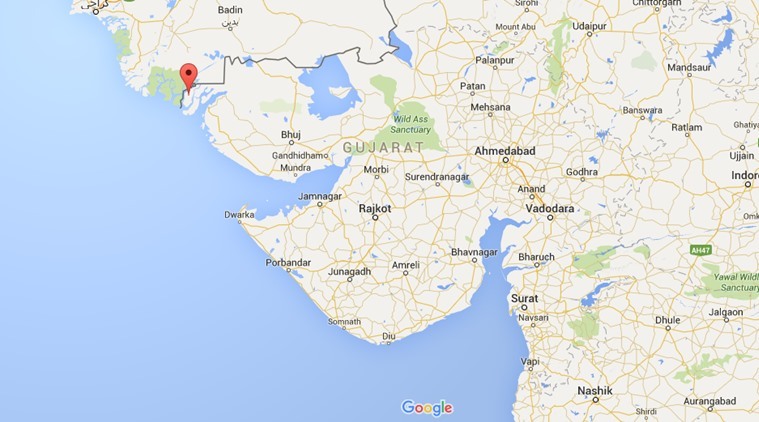 A day after a Pakistani national was arrested from near Vighakot border in Kutch, Border Security Force (BSF) seized two Pakistani fishing boats from Harami Nala off Kutch coast but fishermen on board managed to run away. At about 10:50 PM on Tuesday, a special party of water wing of BSF on board speed boats spotted two Pakistani fishermen aboard a small fishing boat in Harami Nala. The BSF team sped towards the fishing boat which was operating in Indian waters. But on finding the BSF party approaching them, the fishermen abandoned their boat and run away in the marshland towards Pakistan side of the area, an official release from the para-military force which guards border of the country said. The BSF seized the boat and found 50 fishing hooks, a rubber basket, a plastic jerrycan, an icebox and four kilogrammes of fish on board it. A BSF spokesperson said that another boat was seized by the patrolling party from Harami Nalla later on but no arrests were made. “Harami Nala is a prohibited zone where fishing is not allowed as the area is contested by both India and Pakistan. Since it is prohibited zone, it is also rich fishing ground and Pakistan fishermen intrude in the hope of better catch. But when they are challenged by Indian security forces, usually fishermen abandon their boats and run away,” said AK Jadeja, inspector general of border wing of Gujarat police in Kutch. The seizure of boats comes a day after a Pakistani National was arrested by BSF for allegedly crossing over to Indian side of Vighakot border in Kutch on Sunday.